HI everyone, I've recently gotten back into mushrooms and I don't have friends in real life to discuss such things with. I've read plenty of threads on mycotopia and I decided it was my favorite forum. I'm here to learn and for a sense of community surrounding things that I hold in high regard that are very taboo in everyday society. I have no idea how to navigate this site so any help is much appreciated! I have no idea how to navigate this site so any help is much appreciated! Sooner than that, I think. Not so much for any scientific reason as the desire for a new gold rush. Still a good thing. 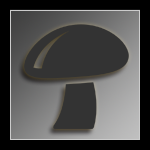 For your purposes, the magic fungi forum for growing, and general discussions for random / lifestyle posts should get ya started. The other forums here are populated by political pundits, aged hippies and hipsters, and savory, retired sub-mariners - view at your own risk - there's a lot of really weird people that post here, so ... watch out for those folks, right! As long as you're down with growing the fungus and sporadic cannibalism, we'll get along just fine. Hello all, new member here. I've got some question for you, if you can help me with pressure cooker. I bought used one, it comes with two vents and I don't know which one to use or how to identify them. One is for 8 PSI, other is for 17 PSI. They look identical, so how I know which one is it? Also, how to cook, I never used PC before. All the steam will vent outside of pot automatically, or must there be some manual things to do? i don't know what kind of cooker you have but i would imagine the handbook is online as a pdf if you search your make and model.